The biggest risk to US economic growth remains the possibility of an extended US dollar rally. The Fed rate hike expectations have been pushed out to December and many doubt that the Fed will hike right before the year end. That's because the hike will involve three rates: FF, IOER, and RRP and could be disruptive to money markets over the turn (year-end). That means if we don't get a hike in September, we may not see liftoff until 2016. At least that's what the markets expect. 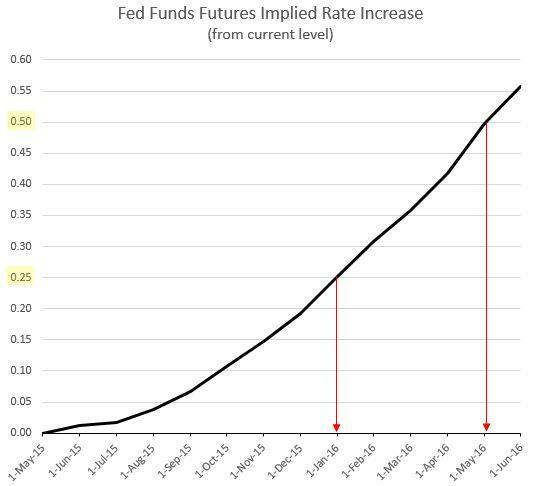 But if the Fed unexpectedly hikes this summer, the impact on the markets could be severe. And the dollar is likely to rally further as a result. We've seen what a strong dollar can do to US manufacturing employment. But there are other "unintended consequences". Consider for example US farming businesses and the banks that provide them credit. It's hard for US farmers to compete with Canadian, Australian, Ukrainian, and other foreign producers after those nations' currencies have been sharply devalued vs. the dollar. 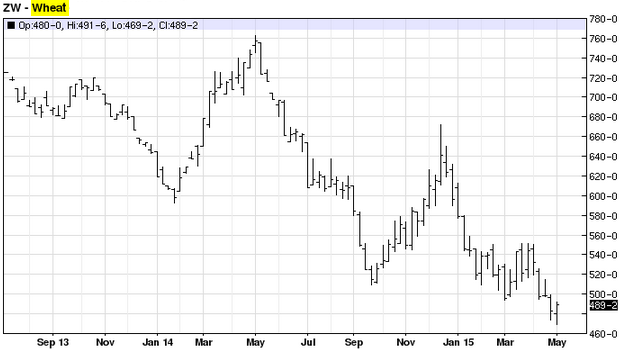 That's why grain prices, farms, and banks that lend to them are vulnerable to further US dollar strength.